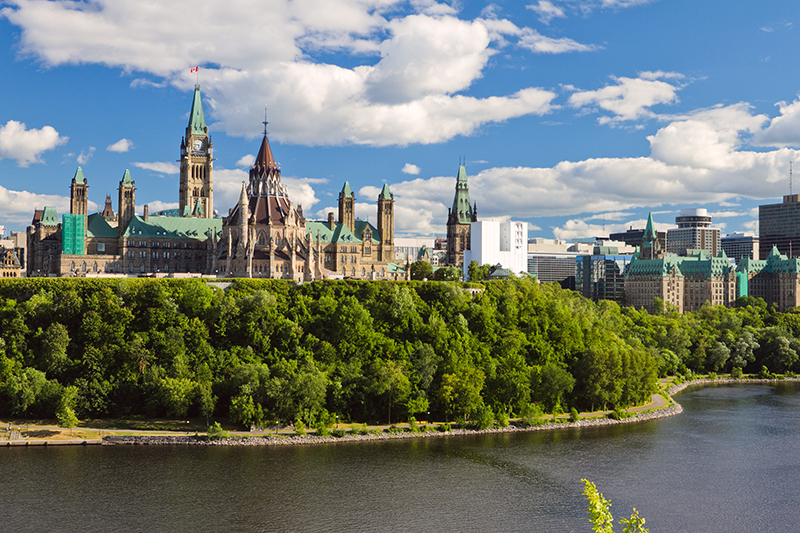 Canada real estate is currently booming. The interest rates are low, so borrowers who lock in low rates can save money on interest expenses. Individuals can build equity, so they can have more financial freedom, and they can have some extra money if they need to borrow against the equity built up in their home. Home ownership offers much pride and a sense of accomplishment. However, before making the investment, potential borrower should research the Canadian housing market and types of mortgages available. Conventional loans: This type of loan requires a 20% down payment. Some lenders require home insurance. If an individual has a low-ratio mortgage, mortgage protection insurance is not required. This type of loan is low risk for lenders; however, one of the disadvantages of this mortgage is that it is more difficult for borrowers to qualify for a loan. Many people, especially first-time home buyers will have a difficult time coming up with 20% for a down payment. One of the advantages of this loan is that borrowers might obtain a lower interest rate than with other types of mortgages. High-ratio loan: If a borrower makes a down payment of less than 20%, he could obtain a high-ratio mortgage. In most cases, default insurance is required. The main benefit of this loan is that individuals can obtain the loan with a lower down payment. These loans are considered much more riskier than other loans, so the interest will probably be higher. Open mortgage: With this option, borrowers will not incur a penalty if they pay off the loan early. People can get a longer term, which means lower monthly payments. Rates on this type of mortgage is normally higher than a closed mortgage. Open mortgages permit a person to change terms during the loan. Closed mortgage: With this option, the loan cannot be paid early or refinanced before it reaches maturity. One of the benefits with this loan is that borrowers have the potential to save money on interest. Fixed-rate loans: The rate of the loan will not change throughout the life of the loan. This offers customers predictability, so they will always know their rate and monthly payment amount. If an individual plans to stay in the home long-term, this might be a good option. Adjustable-rate loans: With this mortgage, the rate could increase or decrease after the initial period. If the interest rate increases, the monthly payment amount will increase. Borrowers need to make sure they can make payments if the payment amount increases. This is a good option if a consumer gets a higher interest rate or if he plans to stay in the home short-term. Capped-rate loans: These mortgages provide a variable rate that is capped by the lender. Rates can change according to the market, and individuals will never pay an interest rate that is above the cap. In many cases, there is a penalty for paying the loan early. Reverse mortgage: With this option, borrowers can have the opportunity to get cash out of the equity in their home. People will be able to stay in their home. Individuals must be at least 62 years of age. Brampton. 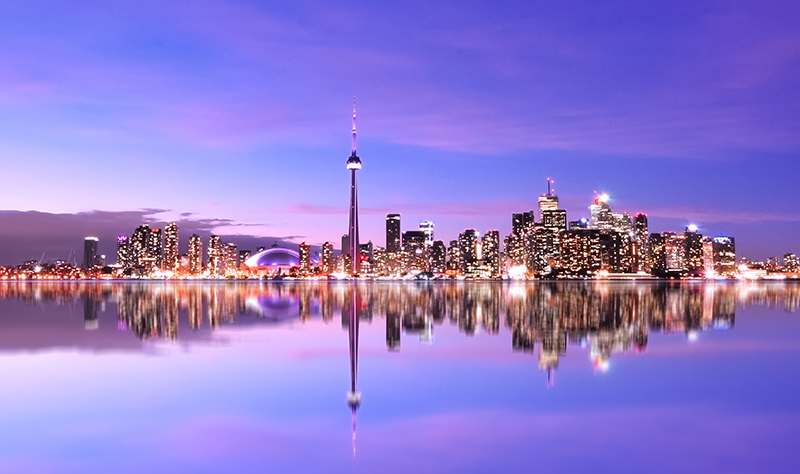 Situated in the Ontario region, this city is situated near Toronto. There are more than 1,200 homes for sale in the area. Employment growth is strong, and home prices are increasing. Richmond Hill: Situated in the York region of Ontario, the population of Richmond states at almost 200,000. Population is continuing to increase, and jobs are increasing. Surrey: Located in British Columbia, this area near Vancouver is a great place to invest. The economy is strong, and the employment rate is high. Maple Ridge-Pitt Meadows: This British Columbia city is expected to see a surge in the economy. Strong industries include forestry, agriculture, tourism, and film. Okotoks: This Canadian city is situated in the providence of Alberta. It is located just south of Calgary, and home prices continue to see growth. Guelph: Nicknamed “The Royal City,” this Ontario city is considered to have one of the best real estate markets in the country. It is a thriving region with a strong economy. Victoria: Situated in British Columbia, this city offers a great climate, a nice waterfront, and the potential for growth in the housing market. Montreal: Real estate in this area is booming. The city offers amazing cuisine, vibrant nightlife, and exquisite architecture. Regina: Located in Saskatchewan, this capital city is home to a growing population and an excellent housing market. Moncton: Situated in New Brunswick, this city contains a thriving economy with a unique culture. It is affordable compared to some other areas of the country. Home Buyers’ Plan (HBP): Individuals can borrow up to $25,000 from their RRSP fund tax free. In some cases, both spouses can borrow, making the total amount $50,000. To qualify for this incentive, borrowers must not have lived in a home they owned within the last 5 years. People are required to have a written agreement to purchase or build a home that they plan to occupy as their principal residence. Individuals need to pay back their RRSP within 15 years. During the second year from the withdrawal, borrowers must begin to pay it back. It will be tax free for the first 15 years. If the money is not paid back, borrowers must begin to pay taxes on it. Land Transfer Tax (LTT): The Ontario government will give people a refund of up to $4,000 of the land transfer tax they paid on their first home. If the real estate is not in Ontario, buyers need to check because the same offer might be available in other provinces. To qualify for this incentive, people must be at least 18 years of age and cannot have previously owned a home. When individuals register their home purchase, a refund might be granted. First Time Home Buyers Tax Credit (HBTC): Borrowers can receive a tax credit on their tax return. The amount a person can receive varies. Royal Bank of Canada: This bank offers numerous mortgages at low rates. Individuals can get preapproved on the website, and the bank makes the mortgage process as easy as possible. Scotiabank: With this company, borrowers can lock in a low rate and obtain a quality loan. The website will give people a checklist to make the loan go as smoothly as possible. TD Bank: This company offers a six-month convertible mortgage that gives borrowers the option of switching terms. They also offer a 5% cashback mortgage. CIBC Bank: This company offers the opportunity to get cash back on the loan. Tangerine Bank: This is the newer name of ING Bank, one of the largest banks in the country. The customer service is quality, and the mortgage process is simple. Merix Financial: This lender provides low rates with numerous mortgage options. Street Capital Financial: Borrowers will receive competitive rates with great customer service. MCAP: Borrowers will receive quality customer support with numerous mortgage loan options. Home Trust: This is one of the most popular mortgage lenders in Canada. This company offers personalized service as stress-free as possible. Income verification is lower than some other lenders, and individuals can be approved with blemishes on their credit. HSBC Bank of Canada: This company offers customized service, so they will help borrowers get the right loan for their needs. People must be a Canadian resident to apply. What Happens if a Borrower Defaults on a Loan in Canada? Borrowers who violate the terms of their loan contract are in default of the loan. People who default on their loan will receive numerous calls and letters that will ask for payment. Individuals who continue to not pay on the loan could face foreclosure. The lender will seize the home, and will use the proceeds to pay the debt on the mortgage. Many lenders in Canada will work with borrowers to help them be able to pay the loan. Borrowers who are beginning to fall behind on their payments should call the lender to see if they will negotiate. If a person has a reason for missing payments, a lender could be sympathetic and help people get back on track. When individuals are ready to buy a new home, many of them are unfamiliar with the different options available. Buying a new home can be stressful, so it is wise for borrowers to make sure they know what to expect in the process. Individuals can then be confident knowing they have made informative decisions about their loan.